When creating a patio, driveway or walkway out of pavers, you must properly execute all the installation steps to obtain professional results. To sufficiently interlock the individual pavers that make up your patio or path, many professionals suggest filling the spaces between pavers with sand. When this is done correctly, the sand will keep the pavers in place during the lifespan of your patio or path. 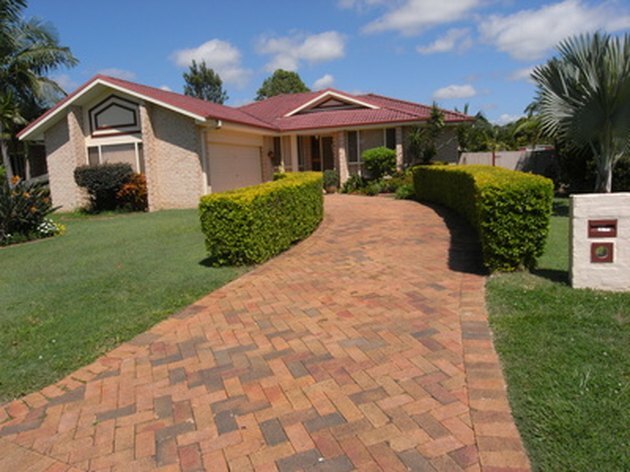 Properly installed, a path or patio constructed from pavers can last 20 to 30 years. 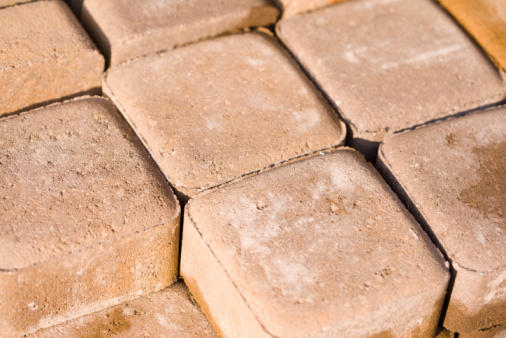 Pavers can be used to construct driveways, patios or walkways. Spread a thin layer of sand evenly over the tops of the pavers. Sweep the sand into all the spaces between your pavers, starting on one side and working your way toward the other. Use the broom to push the sand between the paving stones, sweeping in all directions until the sand is relatively compacted. Sweep any excess sand off of the surface of your pavers. Use a light touch, in order to avoid disturbing the sand in between the pavers. Turn on your hose and set the spray nozzle to low. Spray the pavers with water to help pack down the sand in between the pavers and wash any remaining sand from the surface. Allow the pavers and sand to dry completely. Start over by pouring more sand over the pavers and repeat the process. This will ensure all areas between the stones are filled with sand.